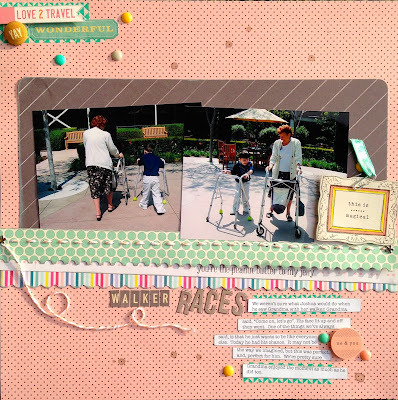 Such a wonderful layout, I love the message of it as well as the colors and the wonderful embellishments you used! Your son is adorable and what a blessing for him to have this time with his Grandma! 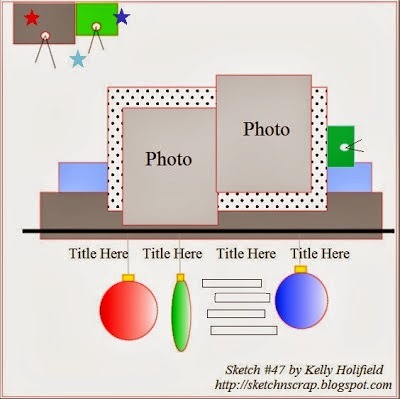 Good luck on getting those other layouts completed and thanks for joining us at Sketch N Scrap! What a precious layout and story behind it! Your product choices are lovely! You should pat yourself on the back for what you did get done! Thanks so much for finding the time to join us at Sketch N Scrap & Scrap Our Stash! 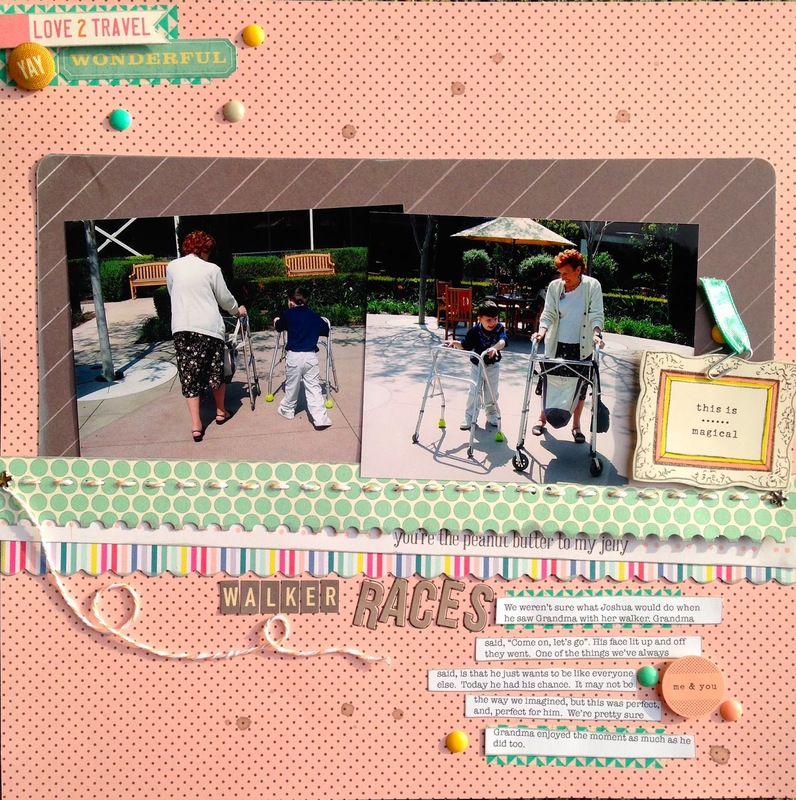 Such a sweet page to make and I love the story behind it...that is what Scrapbooking is all about to me! Definitely a moment to document. I love all the colors and the repeating dots in different sizes and products! Thanks for playing with Scrap Our Stash! What a beautiful and sweet LO! Awesome colors, pics, and bellies. WTG!!!! Thanks for playing along with us at Sketch N Scrap! What an adorable page and memory to scrap! Wonderful take on the sketch and using your punches! Thanks again for joining us at Scrap our Stash! Awesome take on the sketch!Sweet page and story behind it! love the colors! Thank for playing with us at Scrap our Stash! Oh my what a great layout! I love your layering and patterned papers! Thanks for joining us at Sketch N Scrap! What awesome photos! Love how you interpreted the sketch too! Great memories.